Over 50 years of combined legal experience. Experiencing a divorce can seem like a relief for many failed marriages; however, it certainly isn’t a walk in the park. Especially if children are involved, the issue can become sensitive as both parties will fight for as much time and support of their child as possible. When this occurs, it is best to consult with an experienced divorce attorney as early as possible as they will be able to guide you through the process that allows for a smooth transition for both you and your child, if involved. Berry K. Tucker & Associates, Ltd. has helped numerous residents of the Palos Hills, IL area establish effective solutions that have allowed them to successfully move on from their divorce. This is because we create strong partnerships with each client, listening to their priorities and goals in order to effectively assert them in court. 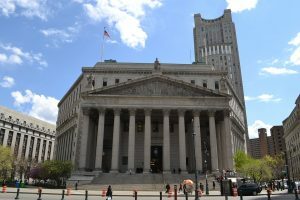 Our divorce attorneys understand that each case is unique as we are committed to handling yours with complete attention to detail and use of our experience to provide the best legal representation possible. We have over 50 years of combined legal experience in all of the following areas: domestic violence, post-decree issues, allocation of parental responsibilities (previously referred to as child custody and visitation), child support, spousal support, pre- and post-nuptial agreements, and division of property. With dedication to our clients, we will work to represent your needs and goals while negotiating a solution that works in your best interest. Domestic Violence: In any situation that you and your child, if involved, are in danger of your spouse, you must reach out to the authorities immediately. It is then important to contact an experienced divorce lawyer to discuss your options for legal protection. As domestic violence can include any of the following situations: physical, mental, or emotional abuse, harassment, stalking, or any threats made to your or your loved ones, you are immediately eligible to file for a protection order. However, it is important to understand that consequences for the accused can occur before determining whether or not they are guilty. Regardless, our divorce lawyers will ensure the protection and safety of you and your child with assertive legal representation. Post-Decree Issues: As life is full of changes, it can make matters difficult to handle as it can require a modification in any divorce agreement. If you have experienced any changes in your living situation, such as in: income, marital status, location of residence, employment, or needs of your child, consult with an attorney at Berry K. Tucker & Associates, Ltd. to have these post-decree issues resolved. We will negotiate according to your needs to establish an effective solution that works in your best interest. Allocation of Parental Responsibilities (previously referred to as Child Custody and Visitation): When both parents are fighting for their time with their child, matters can quickly become stressful and complicated, especially if there is a considerable amount of distance between the two parties. If you have found yourself struggling with any challenges in child custody, contact one of our professional divorce lawyers as they will be able to assert your need of time to be with your child. Although each case is different, we will listen to your priorities and goals in order to accommodate your situation with an assertive legal representation. Child Support: Whether you are working to establish a child support agreement or are experiencing issues with your current agreement, consider speaking with one of our attorneys. As this is no easy task, one of our divorce attorneys will work with both men and women to assert their priorities and goals while providing competent representation. When handling your case, we will handle all of the following: negotiation of child support agreements in divorce hearings, establish child support in paternity and maternity actions, and changing previous support orders. Contact one of our experienced attorneys today for a free consultation to discuss your priorities. Spousal Support: Although this is not granted in all divorce cases, there are a number of situations where individuals do qualify for this support. Also commonly known as maintenance and alimony, the determining factors of this aid can include the overall length, health, and earning capacity of each party during the time of the marriage. In addition, you may also qualify if a particular lifestyle was established during the marriage that no longer exists after the divorce. Regardless, the divorce attorneys at Berry K. Tucker & Associates, Ltd. will work with you in negotiating the details of establishing your spousal support. Pre- and Post-Nuptial Agreements: In the event of a divorce, a pre- or post-nuptial agreement can provide a strong foundation when it comes to the division of assets as well as the custody of your children, if involved. If you are considering one of these agreements before, during, or after your marriage, our experienced divorce lawyers will be able to establish an effective solution that will ensure a smooth transition in the event of a divorce. Pre-Nuptial Agreement: Most important for establishing a foundation in the divorce process, this agreement will set the grounds for all financial investments, property, and assets before they are to become marital or community. If you find yourself in any of these situations, you may want to consider a pre-nuptial agreement: you own or co-own a business, are expecting a significant increase in their salary, or have large investments. 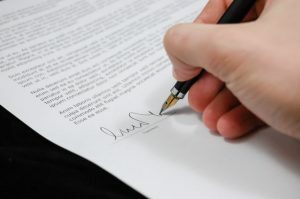 Post-Nuptial Agreement: Similar to a pre-nuptial agreement, this document outlines the boundaries for financial interests as well as child custody and support, if present, after the marriage has ended. However, you will want to consider the fact that the assets covered in this agreement are already considered marital or community property. Division of Property: Unfortunately, the division of property is not as simple as drawing a red line through the center of the home and picking a side. The details can involve aspects that may not even be expected during a divorce, such as child custody or support. 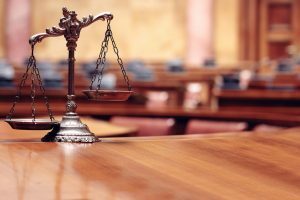 Especially if you share a number of assets and investments between you and the other party, consider speaking with an experienced divorce attorney at Berry K. Tucker & Associates, Ltd. We will work with you to establish an effective solution that best accommodates your needs in the event of a divorce. As you are already aware that a divorce simply cannot occur overnight, speaking with an experienced divorce lawyer can provide some light at the end of the tunnel. With years of experience in handling the legal aspects in a number of divorce cases, the attorneys at Berry K. Tucker & Associates, Ltd. will establish a strong partnership with you when discussing your needs and goals. 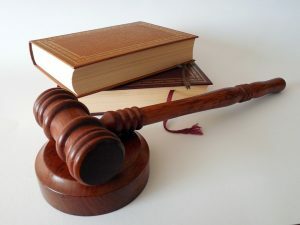 As it is our goal to allow for as much of a smooth transition as possible, we will provide a legal representation that effectively asserts your needs. 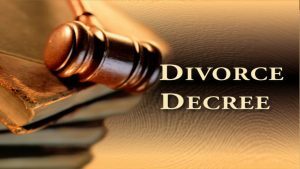 If you are thinking about a divorce, or have been presented with one, contact an experienced divorce attorney at Berry K. Tucker & Associates, Ltd. in the Palos Hills, IL area at (708)425-9530. Also, please feel free to check out our Illinois Divorce FAQ page for more information.